It’d be a guess on the pronunciation. But it’s always about the new beers, and so I went and brought one. Also it’s Vinyl Music Sunday. I love Sunday. A 500ml bottle of a 6% ABV beer or 180 calories a serve size, s about 2.37 standard drink units. 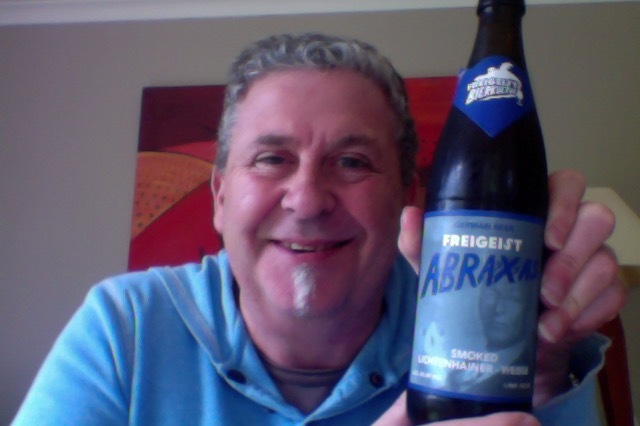 Inspired by the rare and nearly-extinct eastern German tart wheat beer once known as “Lichtenhainer”, Abraxxxas is sour and complex, with a balancing smoky maltiness. 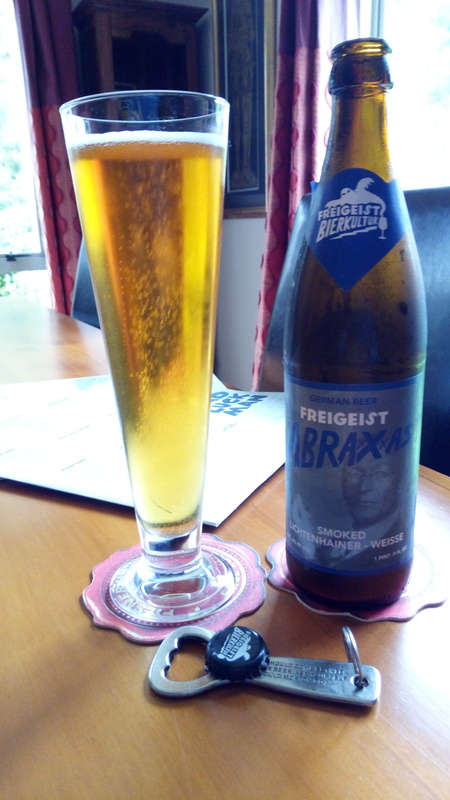 Like Freigeist Abraxas, it’s also inspired by the style Lichtenhainer, but this version is stronger (6% alc.) and contains more lactic sourness. .
Smokey much, also malt sugary aroma on opening. Brilliant orange golden in the glass with nothing by way of head, carries that smokiness into the glass. Carries that smokiness into the palate too, on a carry that’s both a bit soft and also bitter, with a crisp and sharp finish at the back. Phwoar. This is a lovely style of beer when done as well as this, it’s balanced, not shouty, and is alarmingly easy to drink, it’s flavoursome, inviting, rewarding and just draws you in to enjoying it. This would suit me for an evening or afternoon somewhere, it’s got a lot of nice things going for it, the smokiness, and under that a fine bit of german beer, if you took the smoke out you’d end up with a rather nice beer on it’s own, together this is just a good bit of beer. I’ll tell you for free that you’d have to work hard to get a better Sunday afternoon beer that just lets you enjoy it and do it’s thing. I can see how this has many fans and big reviews. 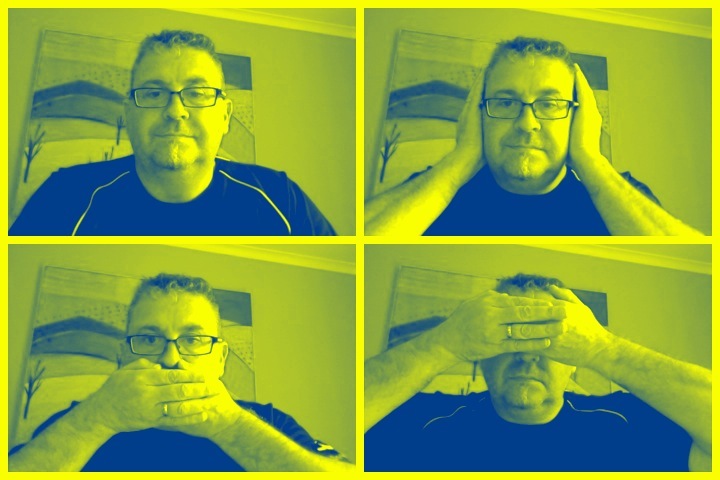 I wonder how I get to be NZ Ambassador….. The pdubyah-o-meter rates this as 9 of its things from the thing. This is a such a nice drinking beer that to pick a fault is harsh. It is rather nice though, and unusual, smoked beers are available but not overly popular or common. This is lighter in the body than I would like and that’s about the only thing bad I have to say, oso that’s just a notch shy on fullness of taste as a whole, otherwise brilliance in a bottle. Where did I get it? Liqiorland. OF course. Would I have another? I will be, I’m hoping they have more when I visit next. Would I share with a friend on a porch and set the world to rights? Oath yes. This is worthy of a glass clink and the whole drama of a loud ‘cheers!’ Stunning smoked beer, if you like smoked beer you’ll love this. Totally. 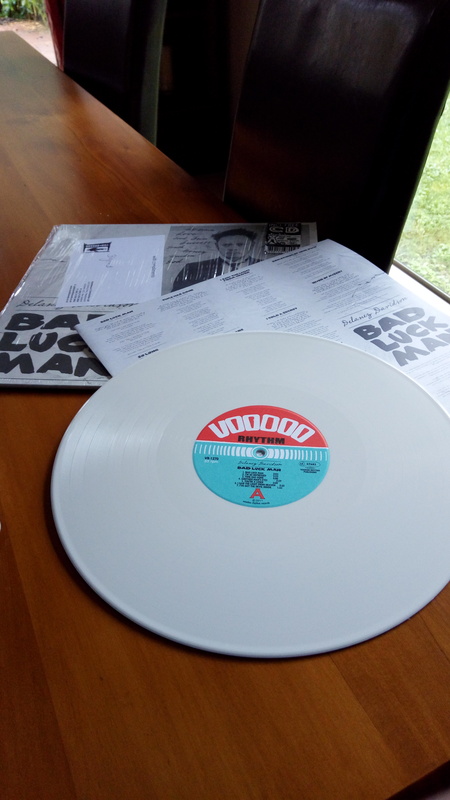 This one is a signed copy and on White Vinyl – a record store day find. This entry was posted on September 25, 2016 by Philip Walter in Beer, Beer of Germany, Beer Review, Craft Beer, Critic, Freigeist Bierkultur, Grodziskie/Gose/Lichtenhainer, Justsaying, Vinyl and tagged Alcohol by volume, Beer in Germany, craft beer, Freigeist Abraxxxas, Lichtenhainer, Lyttelton, New Zealand, Vinyl Sunday.